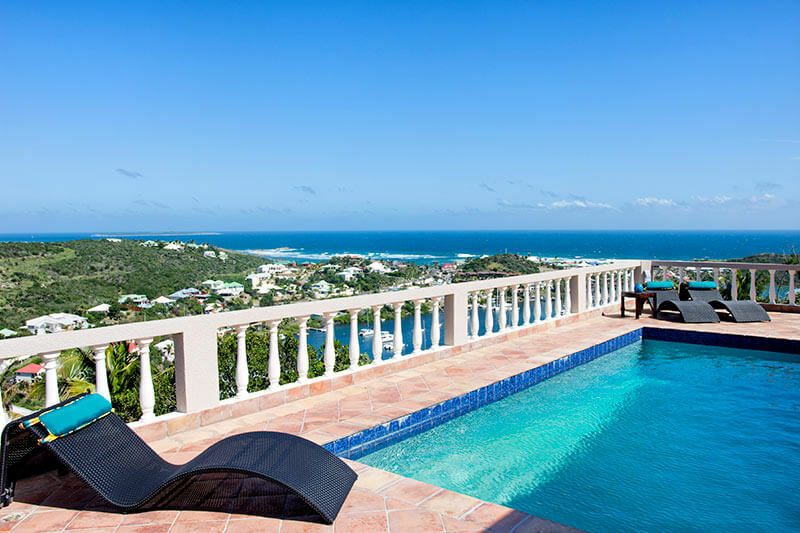 Villa Arcadia is a charming 3 Bedroom, 3 Bathroom hillside villa located in the Oyster Pond Estates (a gated community) on the Dutch side of the island, close to the French border. Experience these two unique worlds as they blend together, offering the best of both diverse cultures. 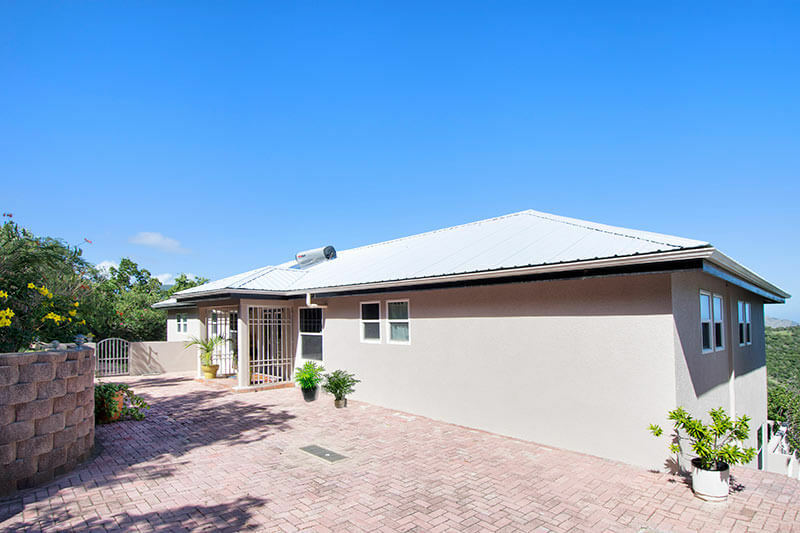 You are only minutes away from beautiful Dawn Beach and the Oyster Pond Marina. 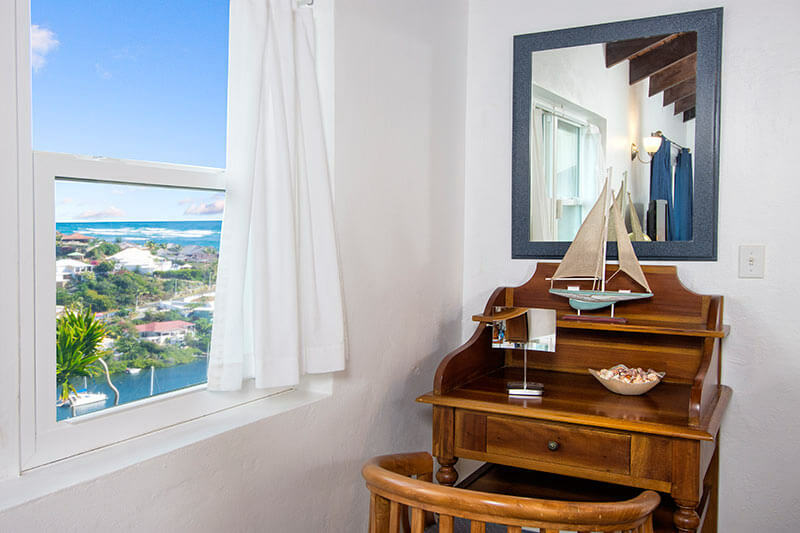 From the pool deck and outdoor dining gallery there are wonderful views of the ocean and Oyster Pond lagoon. 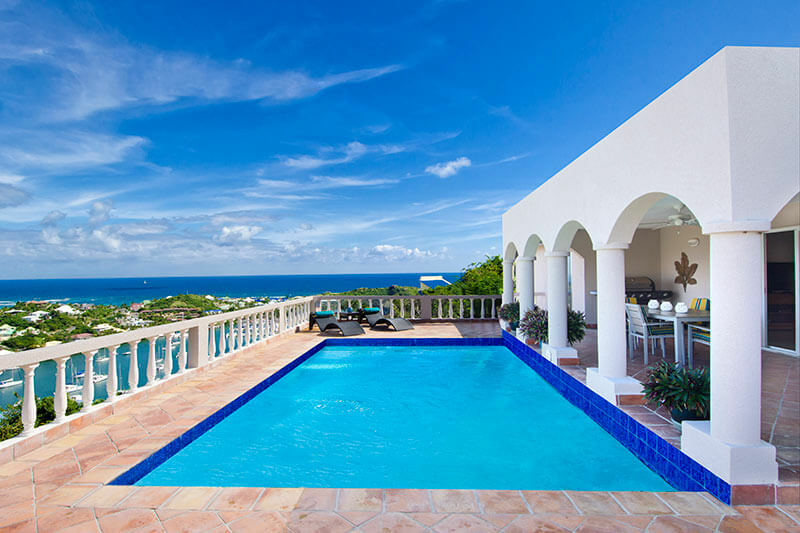 For early risers, this is a great villa to view the Caribbean sunrise over the island. 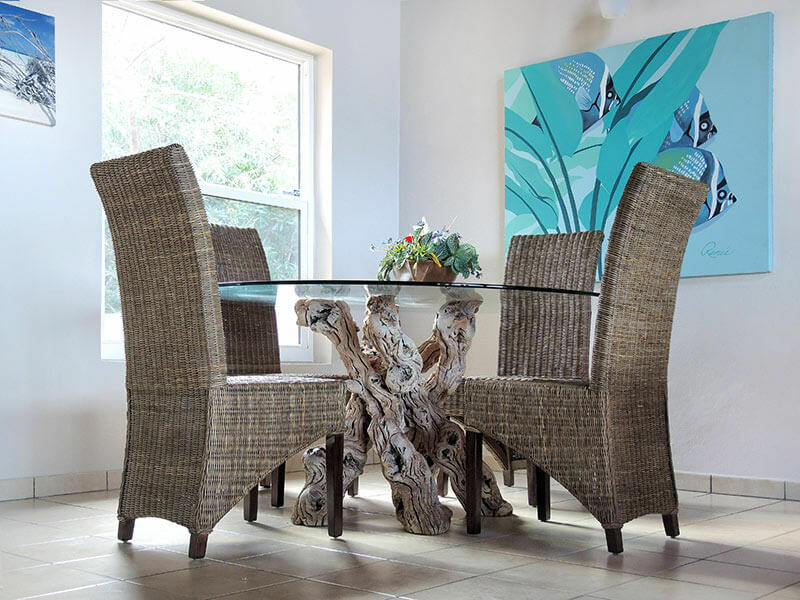 The living and dining areas are beautifully furnished with imported teak and rattan furniture from Indonesia. 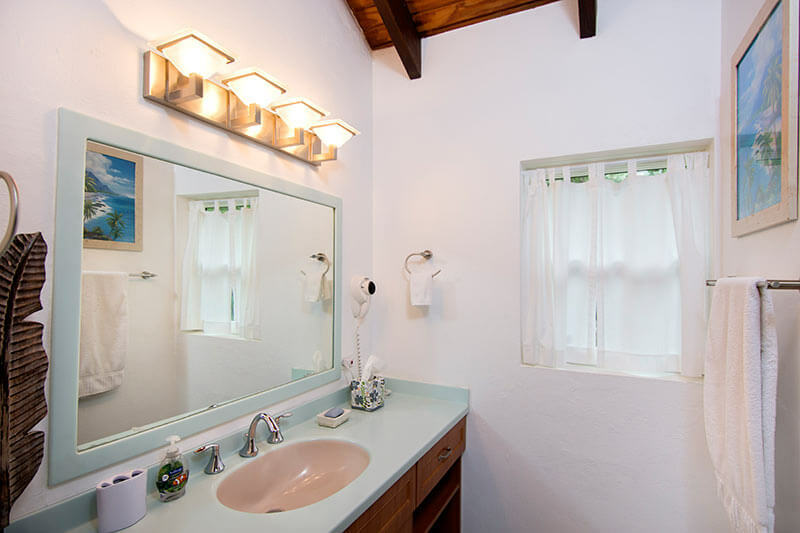 The villa offers cable Television, DVD and stereo with CD player. 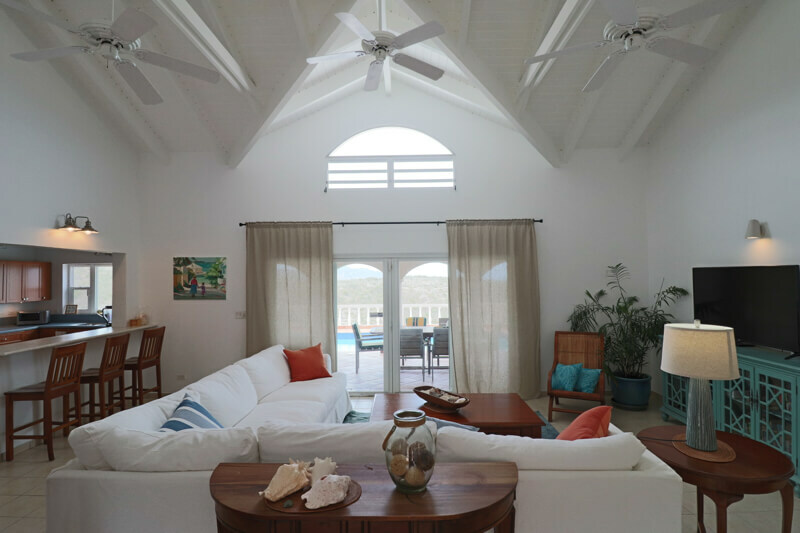 From the living area, you walk out to the pool deck via wide sliding doors that open almost the entire length of the wall. 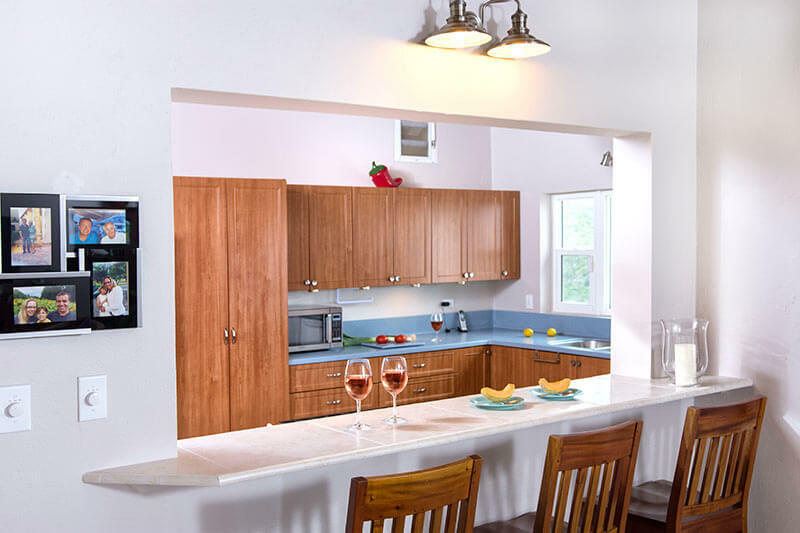 The adjacent newly remodeled kitchen is very spacious and has a breakfast bar that opens to the living area. 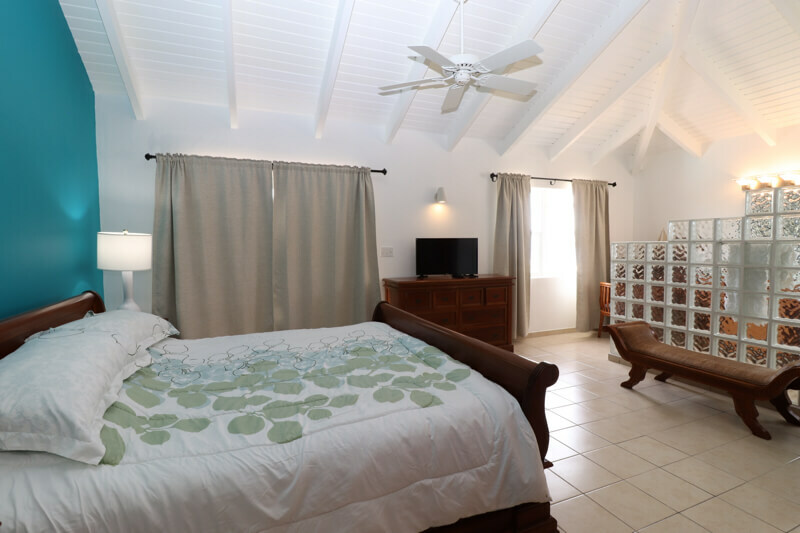 There are three bedrooms located in the villa.The master bedroom offers a mahogany king-size bed with en-suite bathroom. 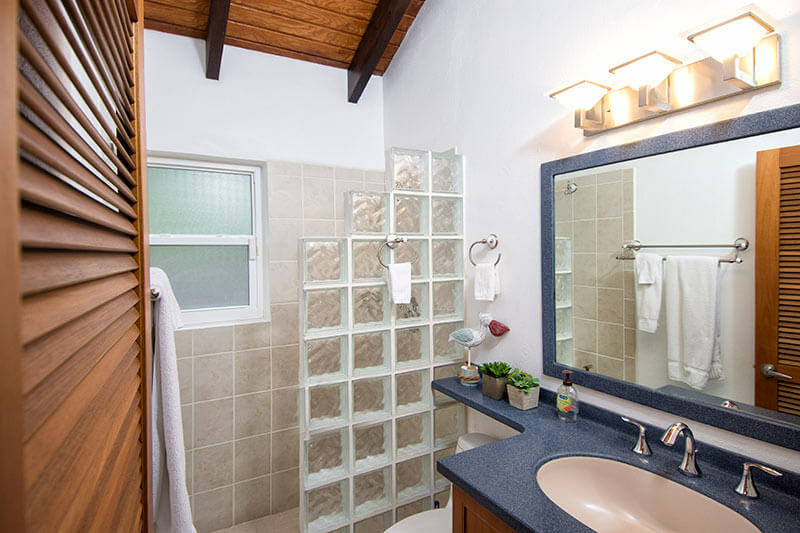 It is located on one side of the living room and opens through sliding doors to the pool deck as well. 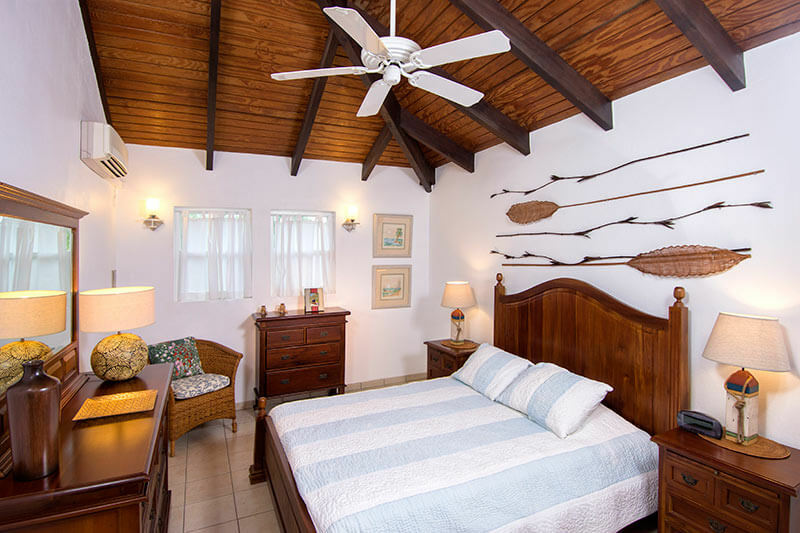 The second bedroom is located next to the master bedroom and also features a king-size mahogany bed. 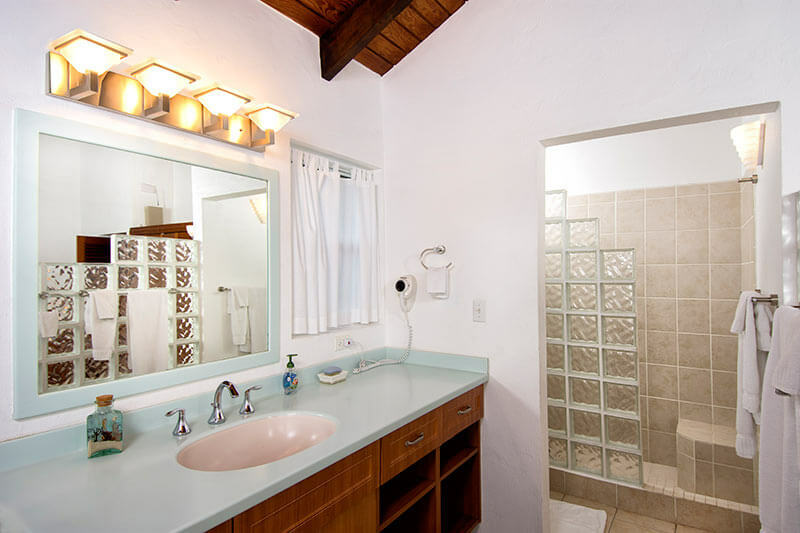 A full bath in the hallway is adjacent and for use by the living area or this bedroom. 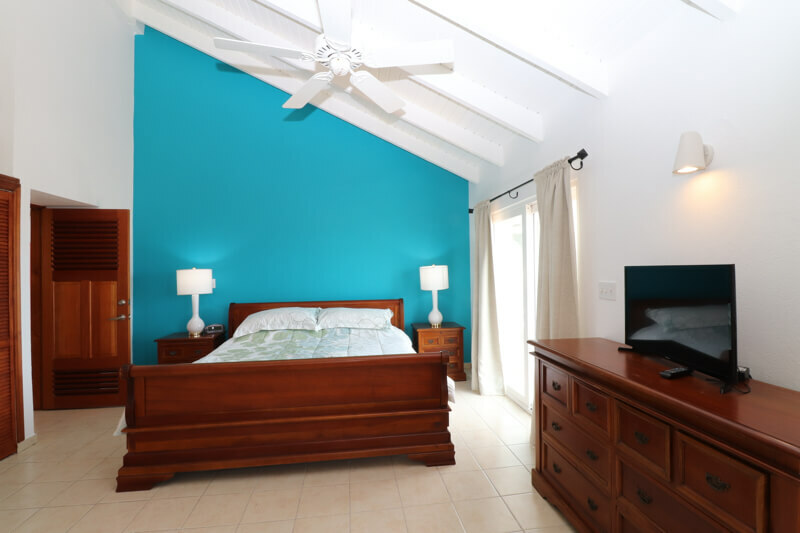 The third bedroom is on the opposite side of the kitchen and has a queen-size mahogany bed as well as its own private bathroom. 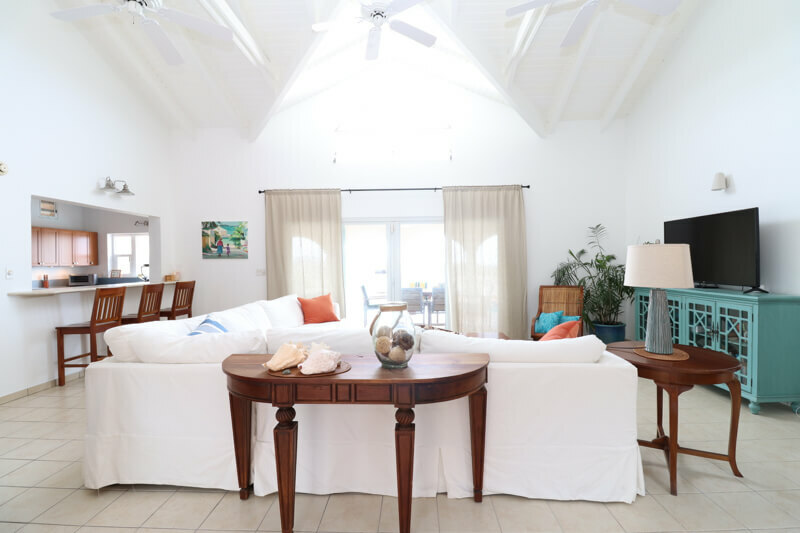 All 3 bedrooms have air-conditioning and open into the main living area of the villa making this a wonderful home for families. 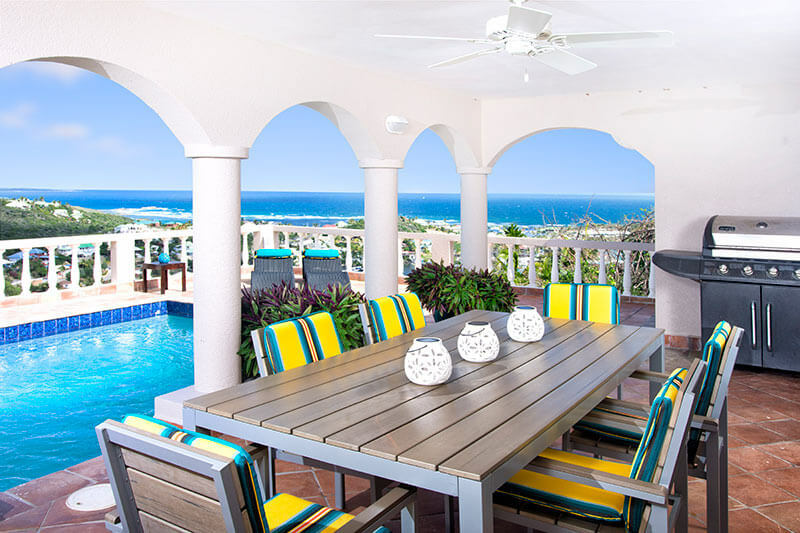 The pool deck offers gorgeous views and has a covered gallery for outdoor dining on a gorgeous mahogany table. 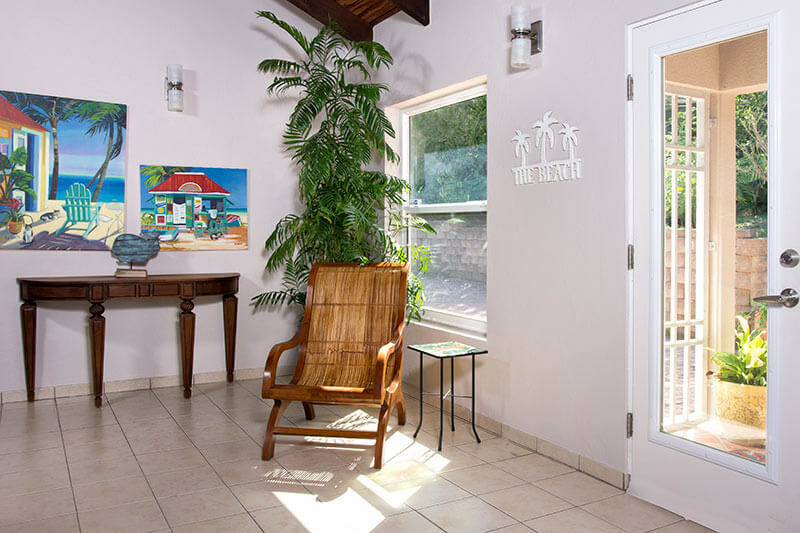 There is plenty of room for sunbathing around the deck in reclining lounge chairs. 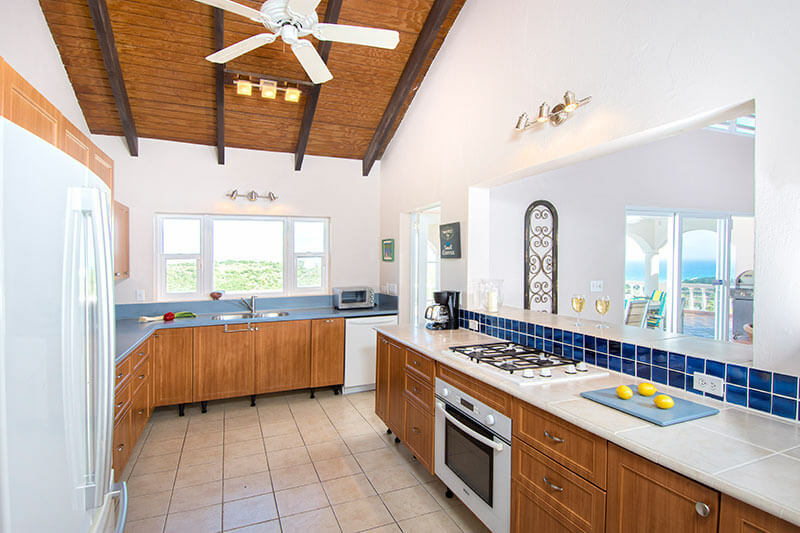 Arcadia is a short drive to popular Dawn Beach and is less than a 10 minute drive to the shopping and nightlife of the Dutch side capital, Philipsburg. Experience the best of both worlds where the Dutch side offers you great shopping, casinos and fantastic nightlife while the French side has wonderful restaurants for your gourmet dining experiences. 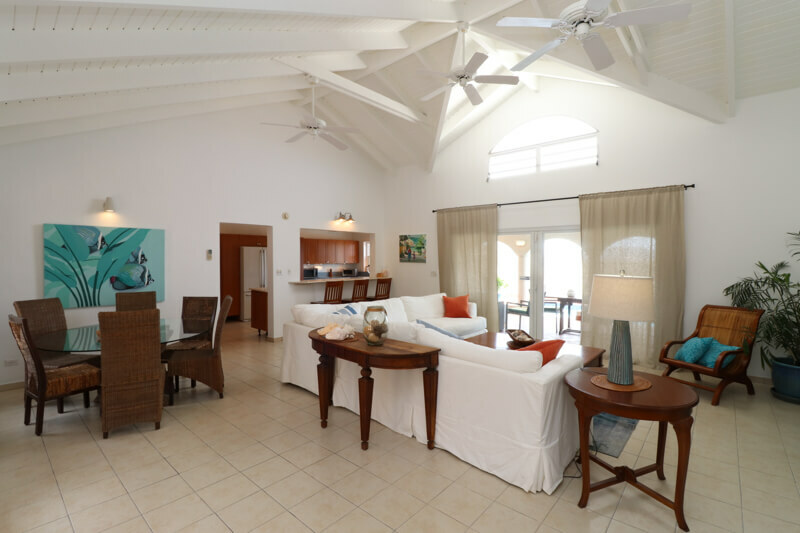 Enjoy Villa Arcadia and experience a taste of the Caribbean lifestyle. 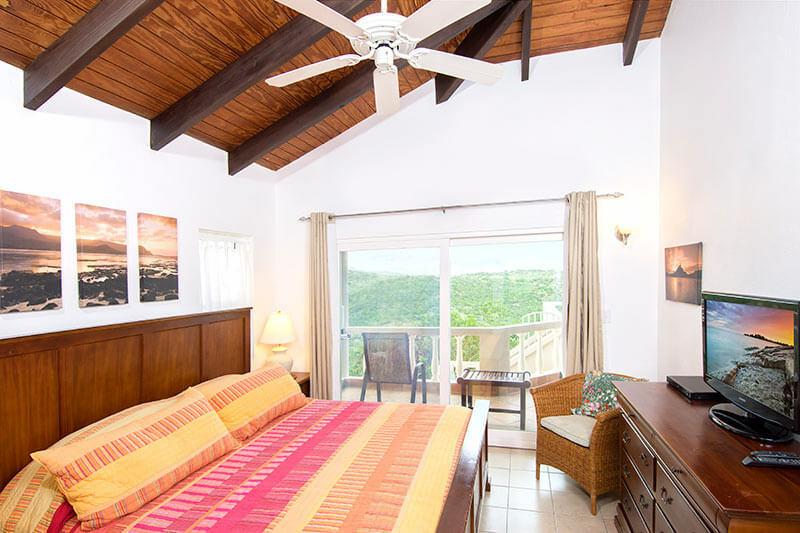 Bedroom 3 – Ocean view, queen-size mahogany bed, air conditioning, ceiling fan, safe, balcony to pool deck and en-suite bathroom with single bowl sink, shower & hairdryer. 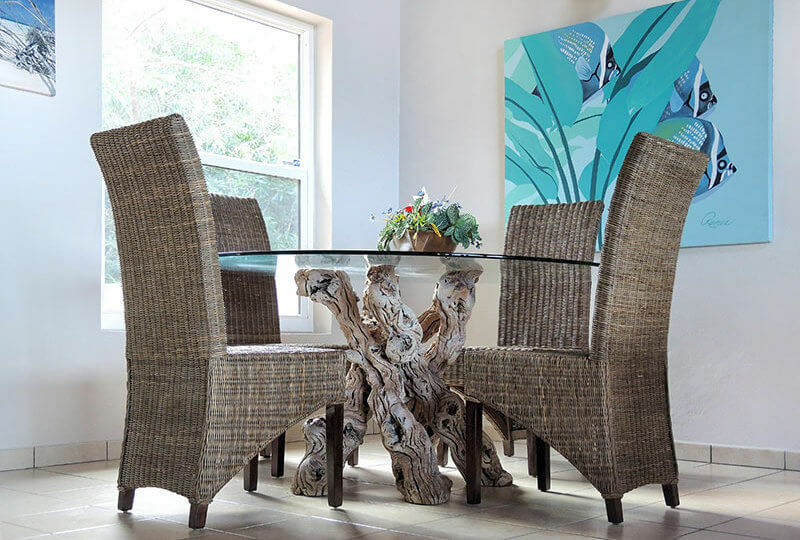 The villa blends Caribbean style with teak & rattan furnishings from Indonesia with a touch of tropical flair. A seamless transition between inside and out, the living area opens to the outside terrace. Dining table seating for 6 persons. 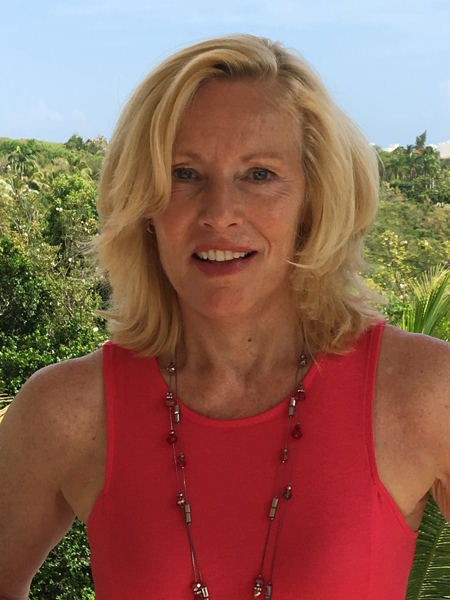 20% discount of 7 nights or more winter/spring 2019. Not valid during the Holidays.